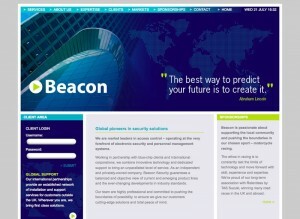 Beacon Security’s new website is now live and online here. This is another superb piece of design work by Door 22 Creative who provided me with a hierarchical site map, layered Photoshop design files (psd files) and all the text content. Door 22 and I had to work hard to meet the deadline for getting this new site online as requirements were changing right up until the day that the site went live. 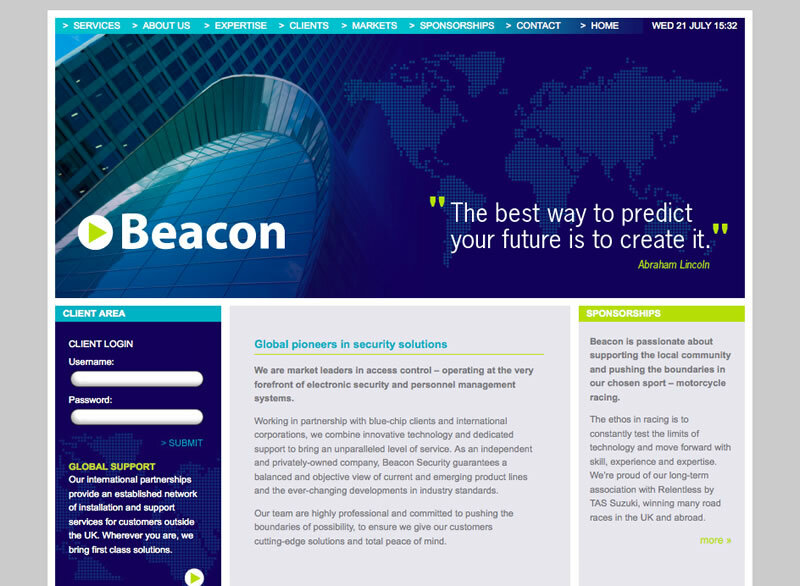 So the website is using WordPress as a CMS (Content Management System) which enables a user to edit page content and create new case studies just by logging into the WordPress interface.